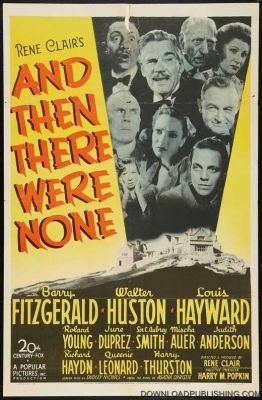 Agatha Christie's tale of ten people who are invited to a remote island by a Mr. U.N. own. During Dinner a record is played stating that all of them have committed murder and that all of them will die before the weekend is out. Unable to leave the island, the guests are being killed one by one. They think that one of them is Mr. U.N. Own, but which one. Just when they think they know who the killer is, that person is murdered.